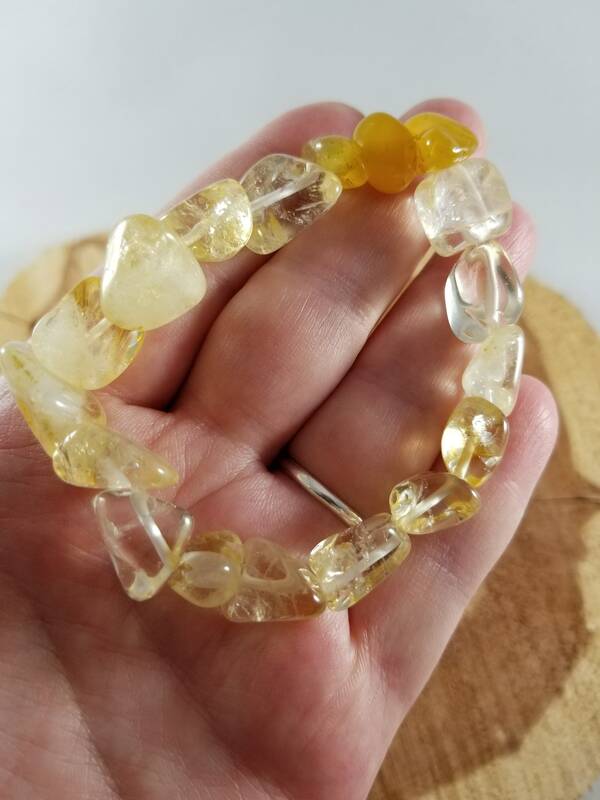 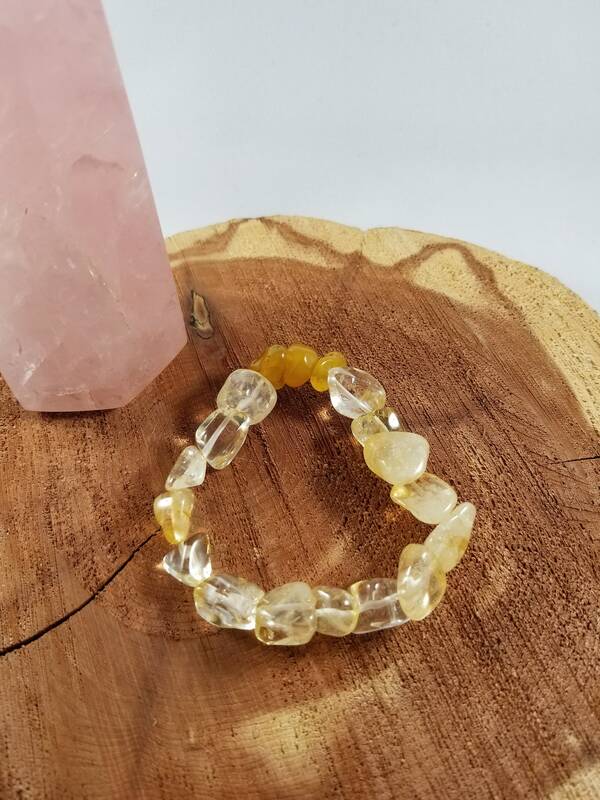 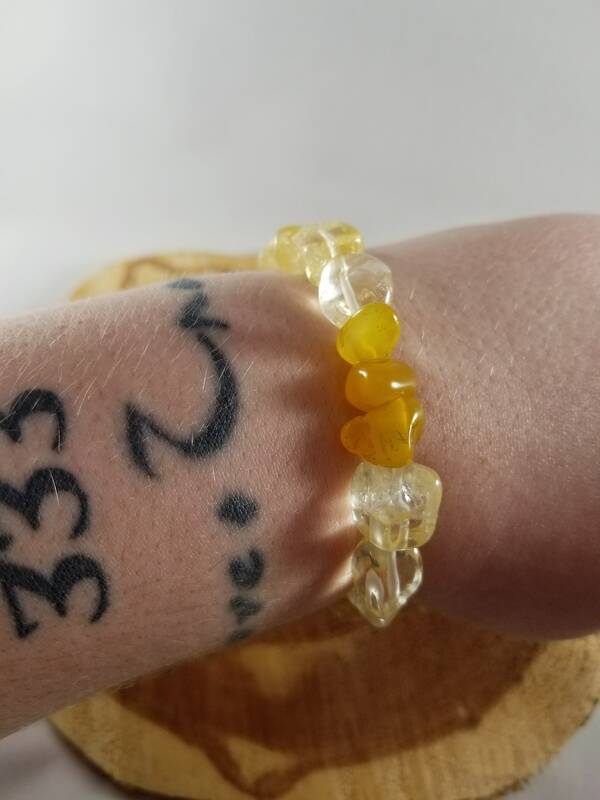 This handcrafted Mala bracelet was made by me using chunky Citrine and Yellow Quartz Beads! 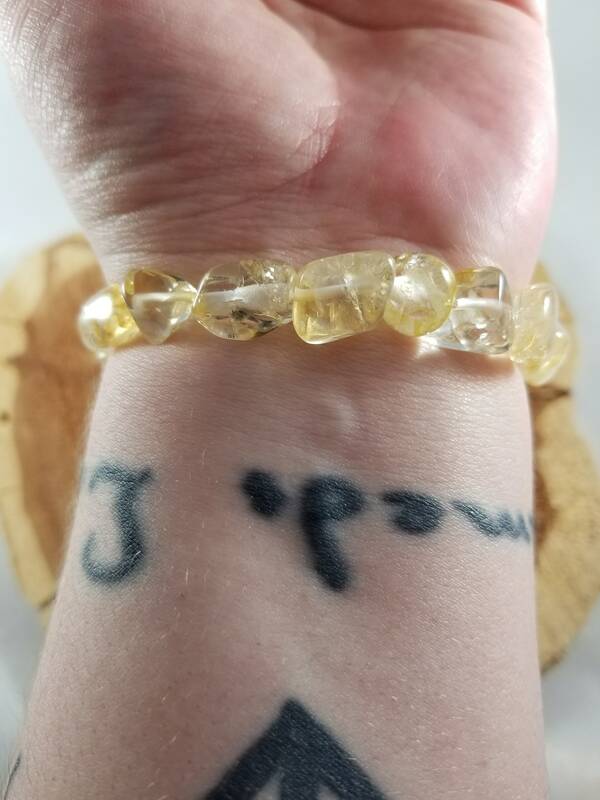 The bracelet fits comfortably up to an 8 inch wrist. 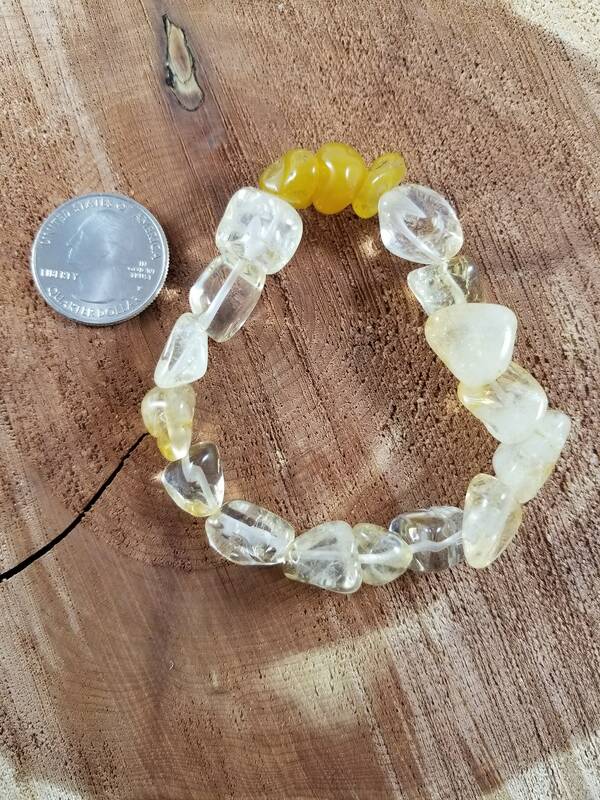 It is made with "Stretchy cord" but it probably wouldn't fit a wrist smaller than a 7; if you are interested in this, or any of my Malas, you may request a more size specific piece.